The sun is shining and Mardi Gras is a month behind us now, but now we’ve found something to keep the spirit alive. This is thanks to an exciting new title, featuring sparkles, festive music and cheerful imagery, that will transport you to the sunny shores of South America. 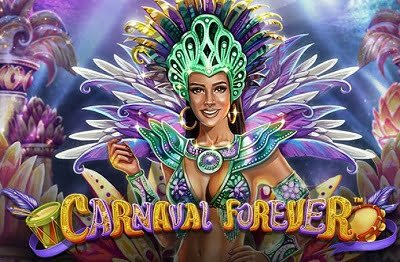 It’s only been out for about a month so not everyone has heard about this new gem, Carnaval Forever Slots, a 10-payline machine from Betsoft Gaming. With the colors, sounds and feels of Mardi Gras, it features the Carnaval Queen and Stages as Wilds which are even more colorful than they are in person. These replace standard symbols and when three Queens or more are displayed on the reels, players can expect a load of free spins and Scatters in the resulting bonus rounds, pumping up the win potential. Players have already warmly embraced this one because as soon as it was put on the market someone hit the jackpot and won almost 25k. Another exciting release for April is Sticky Bandits Slots by the veteran online software developer Quickspin. Set in the Wild West, Sticky Bandits slots features a substantial 30-paylines, fun symbols featuring dynamite, blond bombshells, and bags of cash, and an impressive Return to Player of almost 97%. The Wilds feature the villains of the storyline and a free spins mode of up to 7 spins is triggered when these Wilds appear on the 2nd or 5th reels. Oh, and speaking of reels, this one’s unique since it has 5 full rows of symbols instead of the usual 3 or sometimes 4 that most other machines have. These ones are sure to bring some excitement as we roll our way into summer. Check these newbies and others out at the Jackpot Capital Casino, who accept U.S. players and are currently offering a huge welcome bonus.